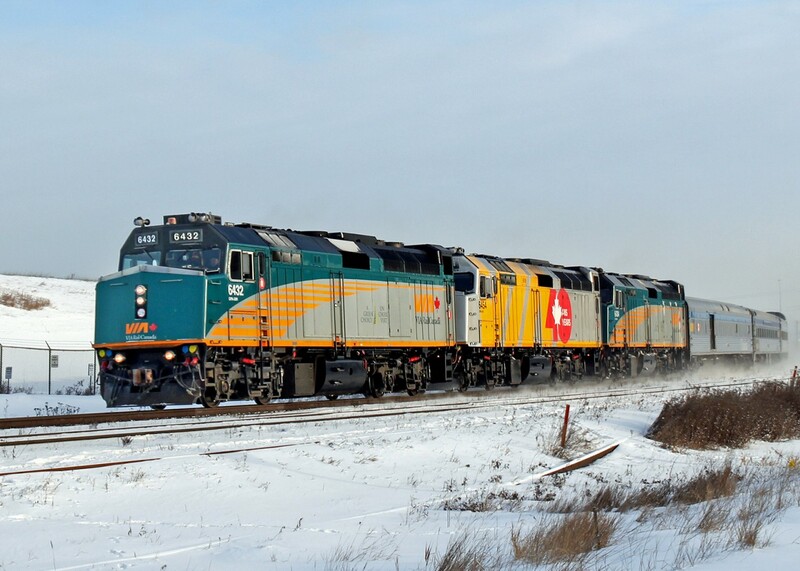 Railpictures.ca - colin arnot Photo: Via #1 cruises through Clover Bar at 10:a.m. Nice consist including 40th Anniversary 6454. You would be forgiven for thinking it’s running a couple of hours late BUT today is Wednesday and this is Tuesday’s VIA running more like 27 hours late. I guess put it down to winter conditions! | Railpictures.ca – Canadian Railway Photography – photographie ferroviaire Canadienne. Caption: Via #1 cruises through Clover Bar at 10:a.m. Nice consist including 40th Anniversary 6454. You would be forgiven for thinking it's running a couple of hours late BUT today is Wednesday and this is Tuesday's VIA running more like 27 hours late. I guess put it down to winter conditions! I like this. Certainly different.